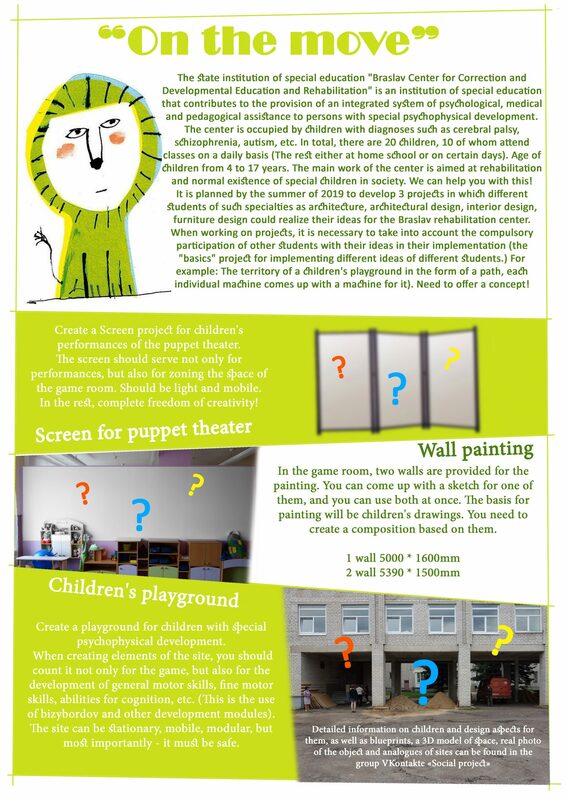 Here the product designers are challenged to revalue the leisure and play area of the rehabilitation center Braslaw with new projects. Training the ability to feel and experience properties of different surfaces through tactile perception. Wall - painting on basis of ideas, drawings/ sketches of the children of the centre. 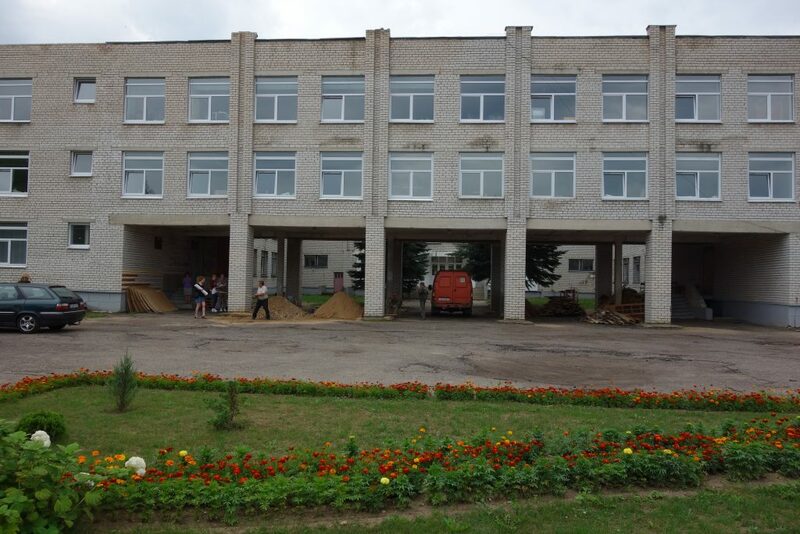 Large walls at the choice of the participants and in coordination with the management should be painted in a colorful and varied manner together with the children and adolescents of the institution. In order to express the esteem of the disadvantaged children, children's designs should first be compiled in collage form - according to their own themes and motives - and then projected onto the wall on a large scale as a drawing template. Then the painting-process with the help of professional students, who then also secure the completion of the big picture. This is where the architecture- and playground-design students come in. It's about a hitherto uninviting area of the yard and gardens of the institution. The covered passage, the connection of two parts of the building, is to be designed as a playground and leisure,- play- and relaxation area. The children and adolescents of the facility also want non-visible retreat zones, play and gym equipment. 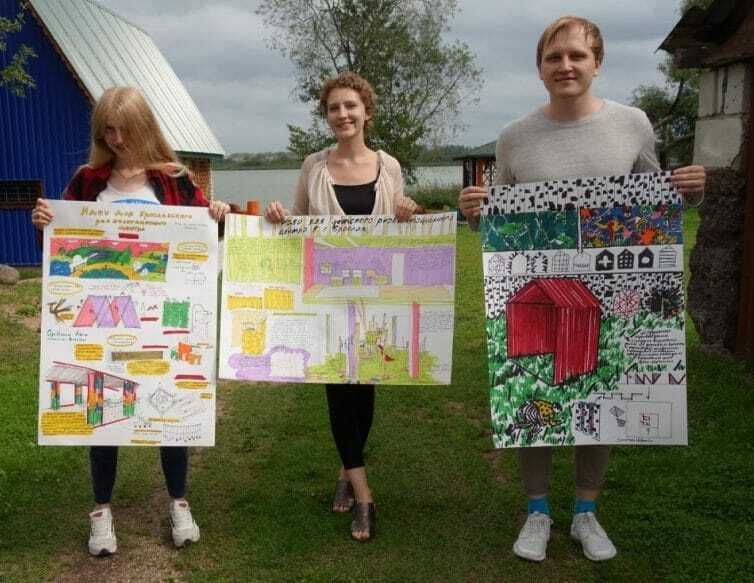 Advance Planning Visit summer 2019 – initial workshops 23.07. - 01.08.2017: Students and project-mangers from KAJA-West /Germany + INO KAJA/ Minsk (inclusive students of art academy Minsk) came togehter with some young people and the director of the center and started the project. "Folding screens": The students developed a common participation project, which can lead to different versions of screen, consisting of three(or more)parts of the textile, which are fastened together by metal struts. So children could show performances, improvised theatrical scenes with the help of this screen. first sketches handmade by handicaped youngsters of the centre, sucessful test, that more youngsters could participate in the project. Fixing the basic planning conditions and measuring the spaces for improving with new creative impulses. Illustration with text, fotos and drawings representing all the participation offers for new european students, who will join the project from autumn 2018 on - on the move II in Germany.